Holy Cross Hospital Named Among the Top Five Percent in the Nation for Overall Orthopedic Services for... Read More Breaking News: Robotic-assisted (Mako) total knee replacement will be available by the end of 2016! The Mako technology provides Dr. McKay with a patient-specific 3-D model to pre-plan your replacement and assist in the positioning of the knee based on your anatomy. 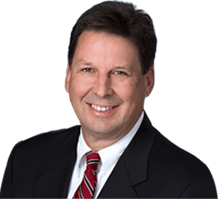 William R. McKay, MD is a board certified orthopedic surgeon on staff at West Boca Medical Center.